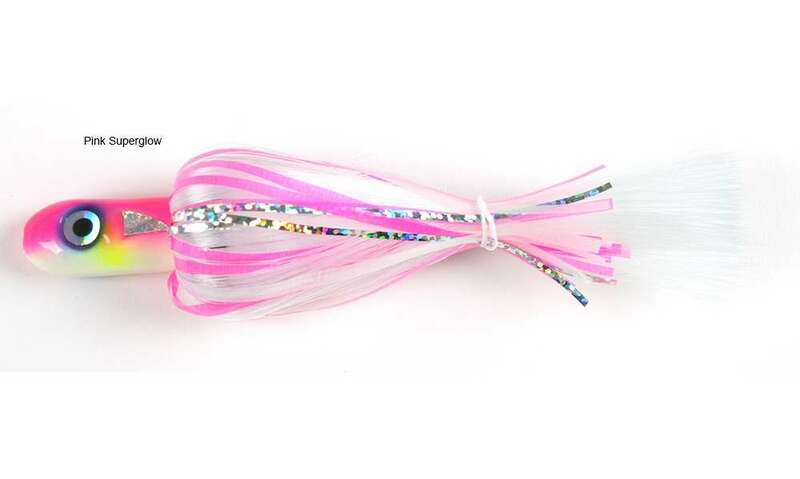 The JimyJigs Ebisu Trolling Lure is a high quality trolling jig developed by a fishing professional to catch fish time and time again without traditional wear and tear. This lure was handcrafted in Mexico. 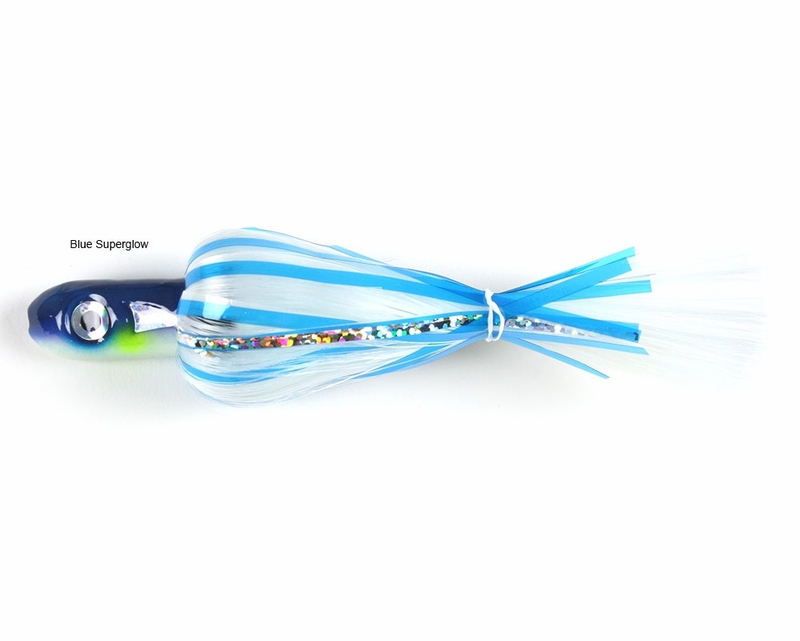 This lure is made for saltwater trolling applications. 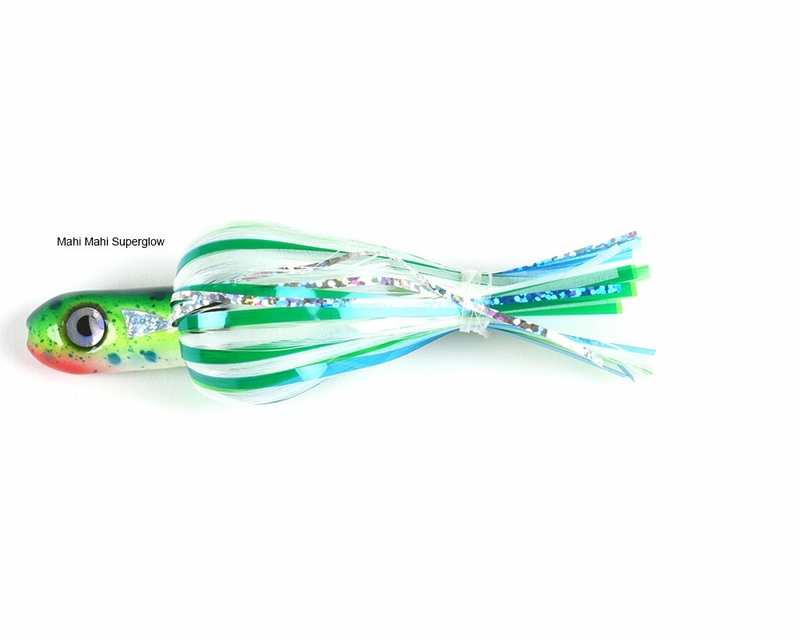 Lure Head: Features an intense glow that glows fluorescent green/chartreuse making the lure head much more visible when trolling at night, under low light conditions, or dirty water conditions. 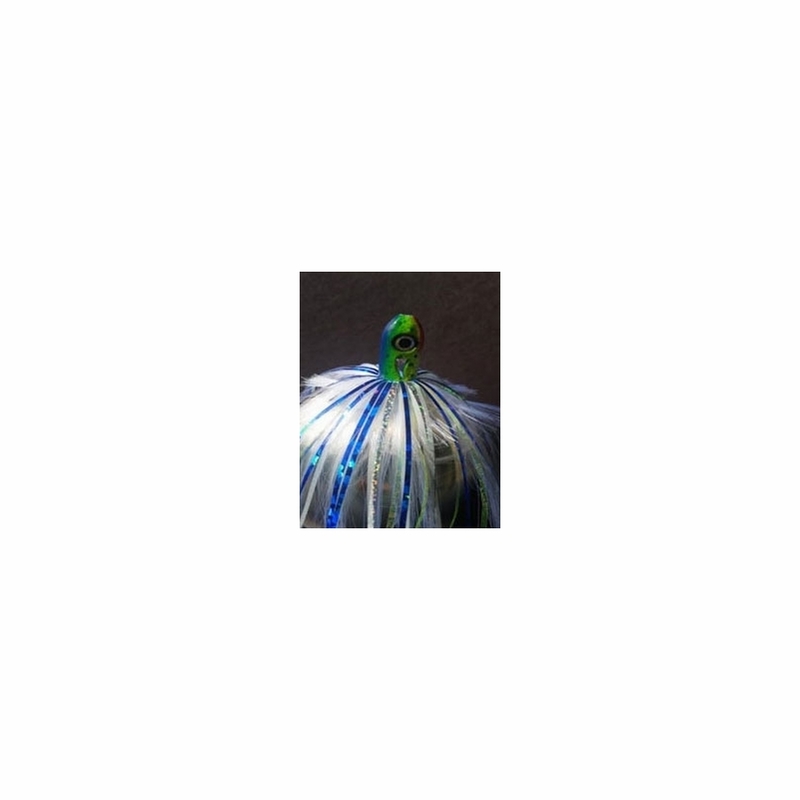 The head of this lure also feeatures a reflective fish scale sticker built into it for reflection of polarized light. 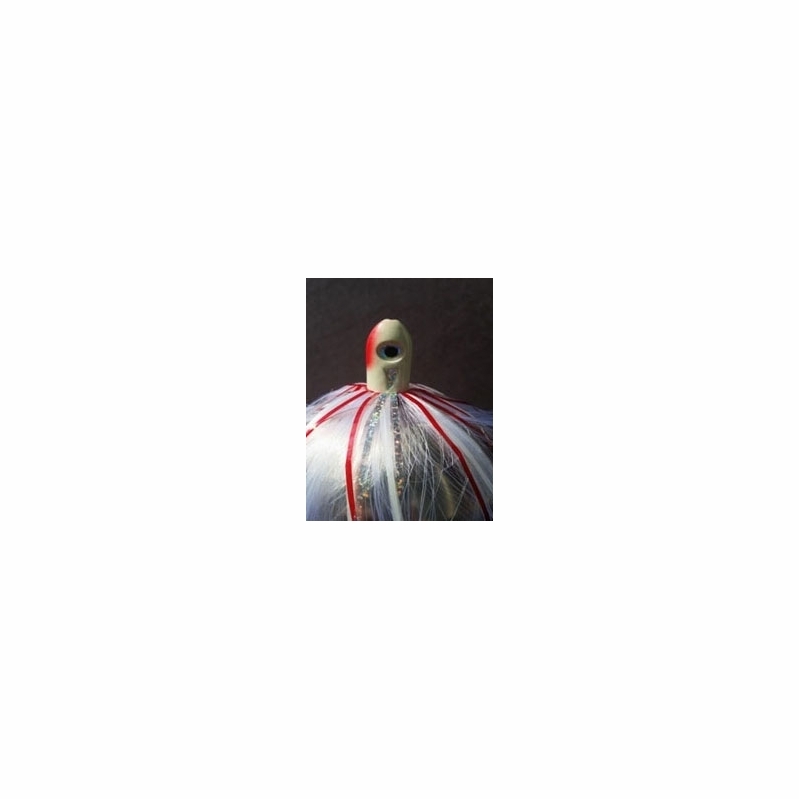 This lure head has big eyes with forward placement, a design proven to get big fish to eat. The eyes also won't peel off. The lure head is tapered on the top and bottom so the lure will track straight. 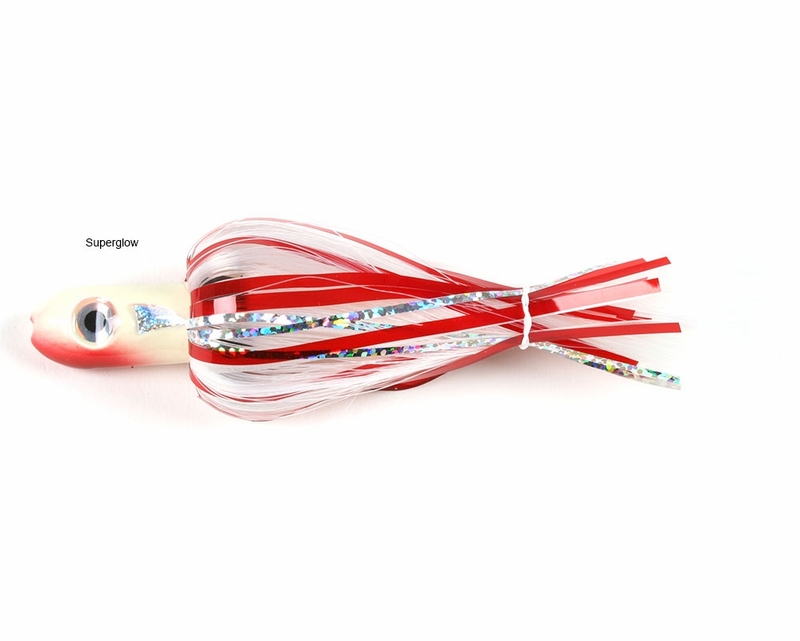 The head is cored making it perfect for trolling rigged dead bait such as ballyhoo or rigged mullet, skirted soft plastic eels, and strip baits. Lure Body: The lure body uses the right amount of high quality white crystal hair combined with fluorescent, UV, scale flash and super glow mylar for maximum visibility in the water under all atmospheric and water conditions. 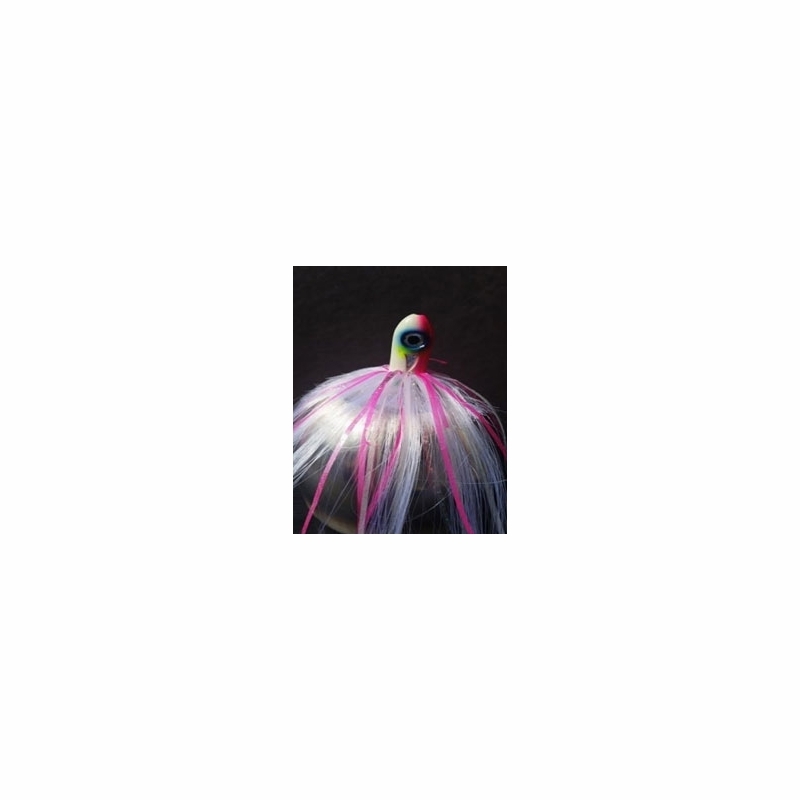 The lure body is also tied so that it emits vibratory and harmonic action as it moves through the water.